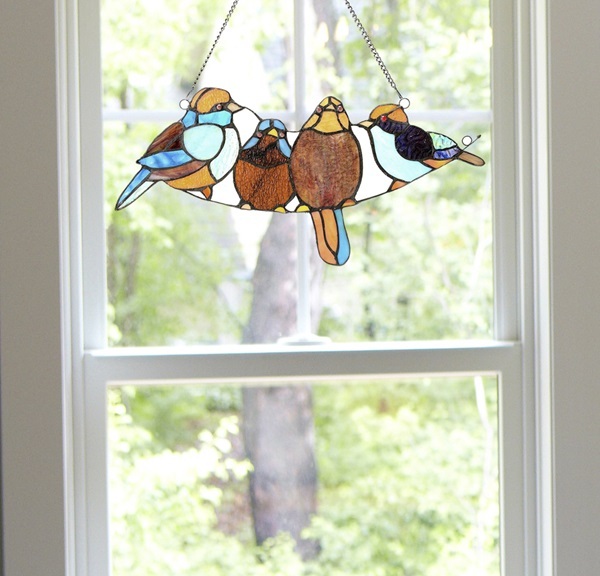 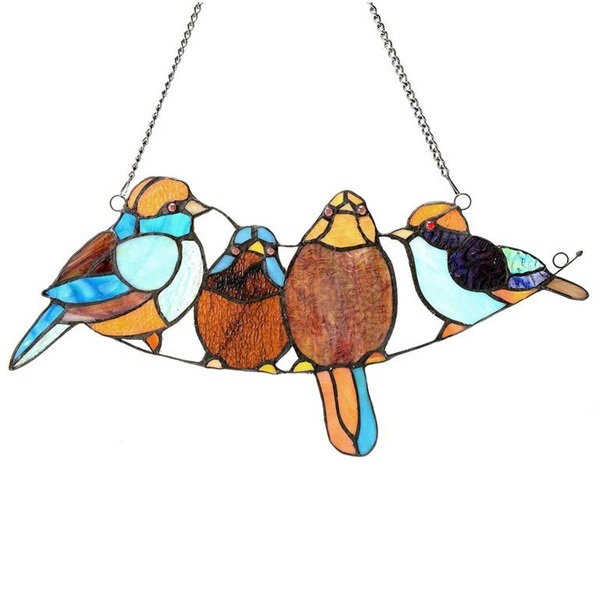 Add a little delight to your window with this adorable song bird glass panel! 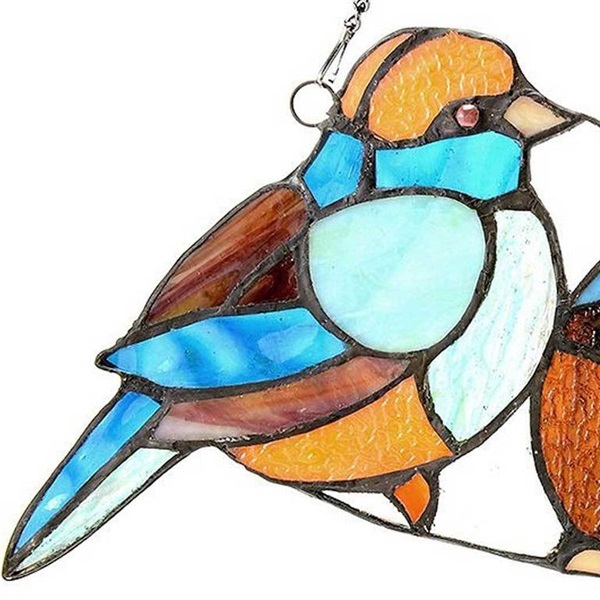 The panel is made with 59 pieces of handcrafted glass in shades of red, blue and brown. Glass panels are a great way to brighten the look of a room, especially during those drab rainy or snowy days! 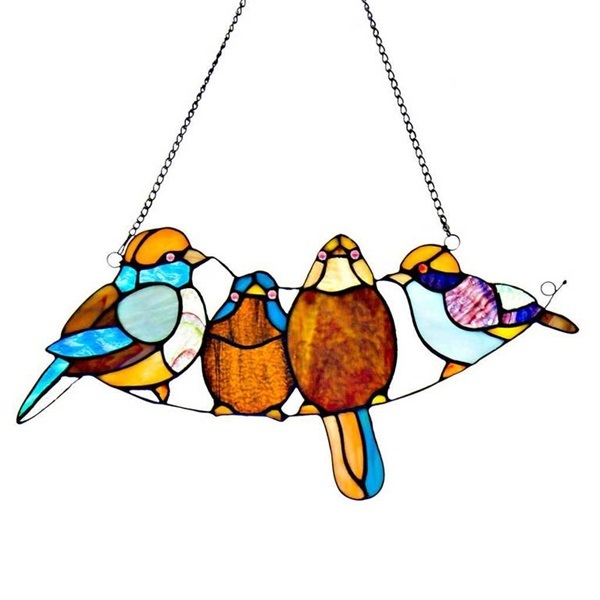 These also make a great gift item for anyone that loves birds or unique, radiant decor!